Africa - ABIDJAN, Côte d’Ivoire (20 September, 2013)_In response to the dramatic decline of forest cover in West Africa, 15 member countries of the Economic Community of West African States (ECOWAS) have agreed to work together across borders to protect and manage the region’s forests and wildlife. “States need common policies on how to manage their resources. Many forest-related issues, such as livestock or wildlife crossing national borders at different seasons, cannot be managed by one country on its own,” said Michael Balinga, regional scientist for the Center for International Forestry Research (CIFOR) in West Africa, who took part in the meetings. 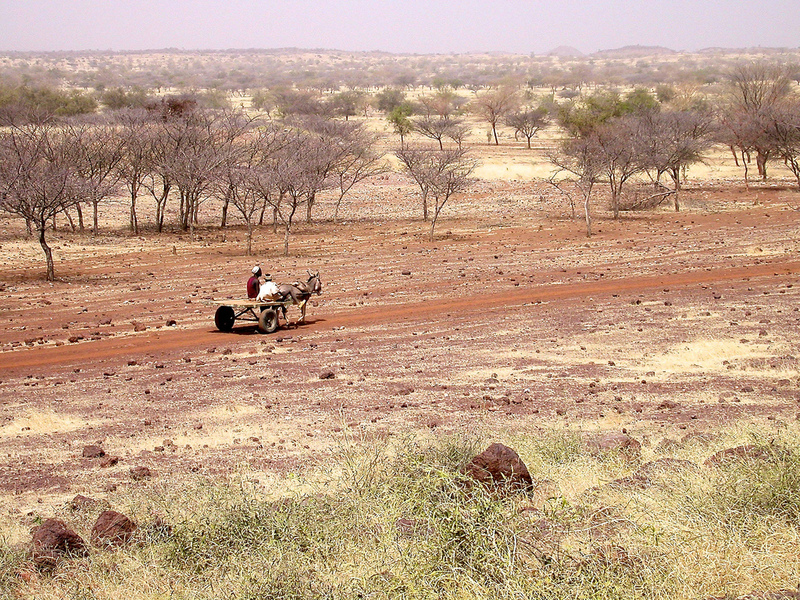 The Convergence Plan for the Sustainable Management and use of Forest Ecosystems in West Africa was adopted alongside the Sub-regional Action Program to Combat Desertification at a meeting on 12 September 2013. The meeting also recommended that member states increase current investments in the forestry sector by at least 5 percent of their national budgets, and that 50 percent of the final convergence plan budget be allocated to activities in the field. According to the convergence plan, forests and wooded areas cover some 72 million hectares of West African territory, or about 14 percent of land. Apart from their value to the economy as woodfuel and timber, the plan noted, the forests provide a variety of ecosystem services that support development and other sectors such as agriculture, water and energy. As carbon sinks, forests also play an important role in combating climate change by storing greenhouse gases. However, the U.N. Food and Agriculture Organization (FAO)’s Global Forest Assessment 2010 reported that 870,000 ha of forests were lost in the sub-region each year between 2000 and 2010. The convergence plan notes that these losses were due primarily to illegal cutting, brush fires, extensive agriculture (farming over large areas of land with low productivity) and transhumance (moving livestock from one grazing area to another), as well as legal, political, technical and economic limitations. In response to the dramatic decline of forests in the sub-region, member states launched the West African Forest Dialogue in 2006 to develop more collaborative approaches to transboundary management of forestry and wildlife. In addition to national governments, the process engaged regional organizations, non-governmental organizations, private sector, civil society and institutions such as the International Union for the Conservation of Nature (IUCN), FAO and CIFOR. “CIFOR scientists contributed advice about what approaches have worked before, and what might be problematic for technical reasons,” said Balinga, one of the CIFOR scientists who have been supporting the process since 2006. The lengthy process was due in part to building consensus along the way. Each country prepared a report informed by consultations with major forestry institutions at the national and international level, as well as with NGOs, civil society and other stakeholders. These country studies were then summarized in three sectoral documents focusing on wildlife, protected areas and ecotourism; legal and land tenure issues; and socioeconomic aspects of forest management. Central Africa has a similar sub-regional plan in place, Balinga pointed out, enabling countries to benefit from better coordination and more funding for forest protection and management. The ECOWAS Steering Committee will review next steps for implementation of the convergence plan in November.